Luisa and Evan’s love story began in middle school. They have always been friends and joke that they had so many missed opportunities throughout high school and college. But once they started dating and spending time together, Luisa knew he was the one. I’ve known him for more than half my life which is crazy to think about. He always makes me laugh and we always have fun together. Luisa loves that Evan is selfless, caring, patient, and has a great sense of humor. He is so funny and goofy! He does ridiculous things like race me to the car from the door of the store. Evan loves that Luisa is kind-hearted and that they share a lot of the same interests. He tells me that I’m easy-going, sweet, caring, funny, and goofy. On Christmas Eve, Evan took Luisa for a walk in the woods near her house right after it had snowed. She could tell that he was nervous and when he got down on one knee, she finally knew why. When he asked her to marry him, she immediately said yes! The two knew they needed to find the perfect venue to spend their perfect day. When they walked into The Haight, they fell in love with its look and vibe. The brick walls, wood floors, and twinkly lights. 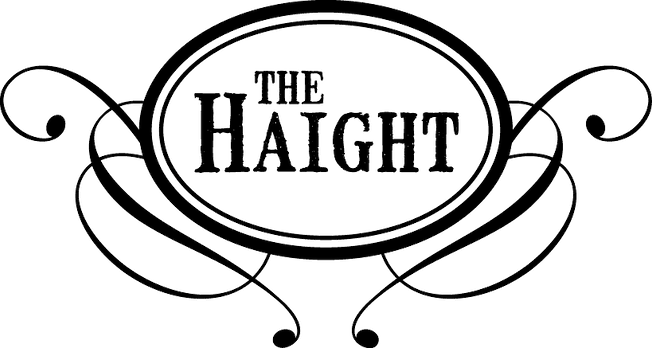 The Haight was an affordable venue that gave us a list of catering options to choose from, and even had the option of choosing an outside caterer if we didn’t want one from the list. We could customize our day to be exactly what we wanted, and everyone was helpful and flexible. Choosing a specific moment as the best part of the day is hard for Luisa because almost every moment had a very special component to making their wedding day so wonderful. I loved looking out during dinner and having our bridal party and both sides of our family at our head table. Evan and I sat at the head of the table with his groomsmen and family on one side, and my bridesmaids and family on the other. It gave some of our closest friends and family the opportunity to connect with each other. Even though they loved every moment of the day and wouldn’t change a thing, Luisa’s advice for newly engaged couples planning their wedding is invest in your marriage. The wedding day will fly by and a lot of the little details won’t matter, but investing into your relationship will be lasting and have a greater impact on your life.